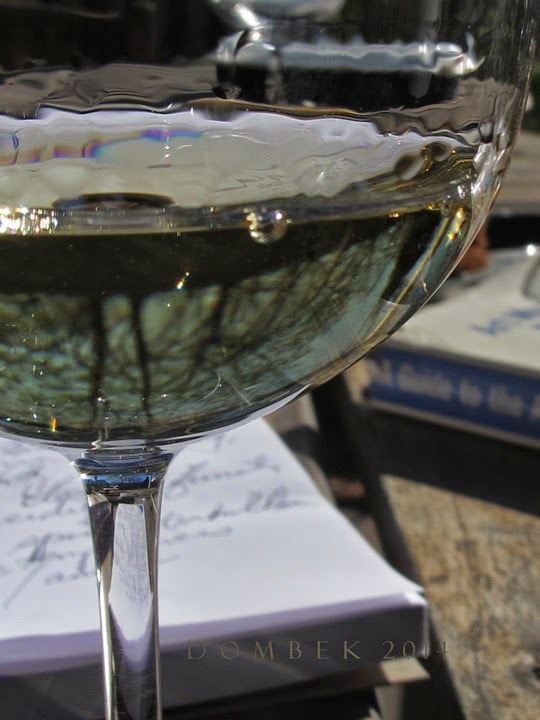 Light golden straw in color like the hot grassy plains ... with nuances of green, this is one complex, mercurial white wine! Flint, minerals, schist, a woody herbaceousness and hint of mint are immediately apparent on nose and palate. Refreshing and zesty with underlying earthy minerality and rich, voluptuous notes of vanilla and butterscotch when the chill comes down ... all the while balanced with plenty of tanginess & acidity. Layers! Green fruits, white peach, spices such as anise and licorice, passion fruit/tropical fruits, lemon honey ... (am I high?!) Racy. Perfume. Spicy, even weighty, yet a bracingly clean finish. Illusive somehow and dynamic, slightly austere, truly hard to pin down ... I loved it. I had noticed it for quite some time at my neighborhood market and one winter day, yearning for a white - something with substance, yet not heavy or overly oaked, picked it up. This fit the bill. I found myself retasting it on a number of occasions, always enjoying nuances, shifting between lusciousness and tangy acidity. The grapes are estate grown and aged in steel, with 6 months in new French oak on the lees. Bottled in 2013. Now that it's summer, a perfect pick to acccompany chicken, pork on the grill, Mediterranean faire. Delicious! $16.99 at Rosemont Market on Munjoy Hill in Portland. Herdade do Esporão is located in the southeast in Alentejo, Portugal's largest wine region. A typically Mediterranean landscape is home to the estate, where indigenous plants such as lavender, orchids, holm oak and extensive olive groves abound, as well as a myriad of wildlife. No wonder this wine exudes such a myriad of flavors and fragrances. Established in 1975, the Estate is also home to the Tower of Esporão, a piece of architecture expressive of the transition from the Middle Ages to the modern era and the desire to assert a new lineage. 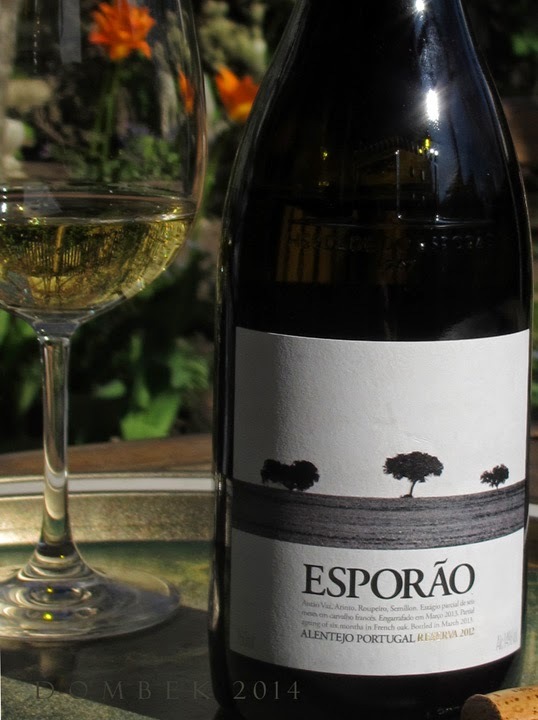 Esporão wines are considered to be some of Portugal's most respected. They also helped revolutionize their region in part, by employing Portuguese fine artists to create original art for labels for each new vintage, a melding of art forms so to speak - wine and art. Some of Portugal's most important artists including, João Hogan, Júlio Pomar, Manuel Cargaleiro, Julião Sarmento, Pedro Cabrita Reis and Lourdes Castro, have created original works for this project, building a unique collection that tells the story of Esporão, as well as art and wine in Portugal. Fantastic! This vintage was for its 25th anniversary of the Reserva Private Selection, its most emblematic brand and is by artist Felipe Oliveira Baptista. This wine is imported by AIDIL Wines & Liquors, Newark, NJ and brought to us through National Distributors, South Portland, ME. Also available at Browne Trading Co. & Whole Foods Market - Portland; Bow Street Market - Freeport; and Food Stop - Cumberland.